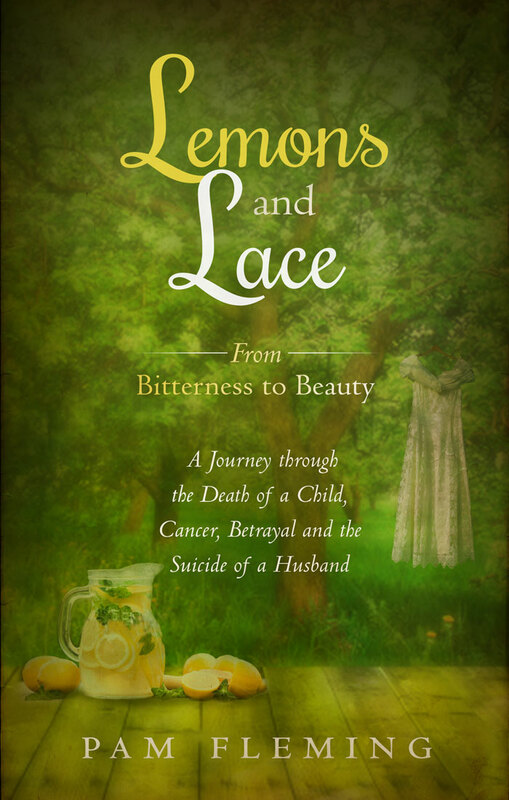 Download a Free Chapter of Lemons and Lace Today! If you’re going through a dark season in your life, know that there is hope. 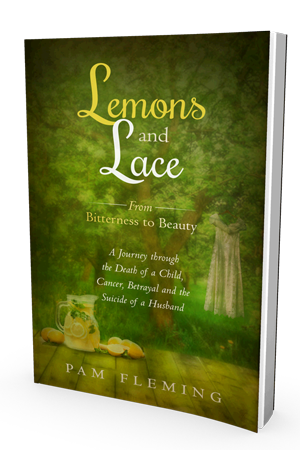 In this true account of God’s healing power, Lemons and Lace—Bitterness to Beauty reveals how to turn your mourning into dancing so that you can gain a new sense of freedom and hope for the future. Young, in love, and dedicated to church ministry, Pam—a pastor’s wife—and her husband Rick seemed to have the best of everything. They were unaware that in their life’s journey a series of adverse events would test all they knew about each other and the God they committed their life to serving. From the death of their 14-month-old daughter, Pam’s cancer, marital complications and uncertainty about where God was leading them, the couple is left swimming in a sea of doubt about their future. As insecurities grow, brokenness leads to more destruction with Rick eventually taking his own life. Stricken with grief and guilt, Pam reaches out to the only One who can deliver her from her troubles. Has your world suddenly been turned upside down, shaken by undeniable grief and mourning? God, in all His majesty, knows your heart, hears your cry and—like Pam—will exchange the bitterness of life for the beauty of who He is and who you are in Him. Pam has three children: Nathan, Elizabeth (Deceased) and Megan. 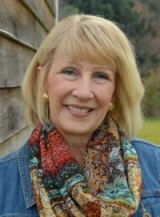 In 2013 she married David G. Fleming. Together they have ten grandchildren, a dog named Tucker and a cat named Stubs. She attends Christ Community Church in Camp Hill, Pennslyvania. Her passion is for everyone to come into a personal relationship with Jesus. To see people healed from depression, grief and the spirit of suicide, and to bring suicide awareness to the church. This book does not offer pat answers, but it offers great hope. I highly recommend Pam Fleming’s new book. Her ability to trust again despite her life tragedies will inspire the weakest person in their faith to live an overcoming life. Her story will give you the will to engage with your own struggles and move through them to whole-heartedly engage with life.